Obituary for Loyd Clendenon Jr.
Loyd Clendenon, Jr., age 82 of Spencer, Tennessee passed from this life on Wednesday, July 25, 2018, at his home. Jr. was born Thursday, March 5, 1936 in Spencer, Tennessee, he was the son of the late Loyd Clendenon and the late Eula Hitchcock Clendenon. many nieces, nephews, cousins and friends also survive. 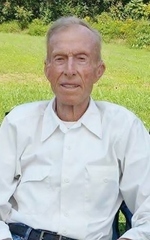 A Funeral service will be at 2:00 PM on Sunday at Spencer Funeral Home with William Shockley officiating. Interment will be in Molloy Cemetery, Spencer, TN. The family will receive friends from 3 to 9 PM on Saturday, July 28, 2018, and again Sunday from 9 AM to 2 PM at Spencer Funeral Home, 16000 Hwy 111 N., Spencer, Tennessee. To send flowers to the family of Loyd Clendenon Jr., please visit our Heartfelt Sympathies Store.